There is the new kid on the block in Smithfield. Oxmantown Smithfield opened in February just around the corner from the Jameson Distillery. Similar to its bigger sibling in Mary’s Abbey, this independent sandwich and coffee shop serves food freshly prepared in-house every day. 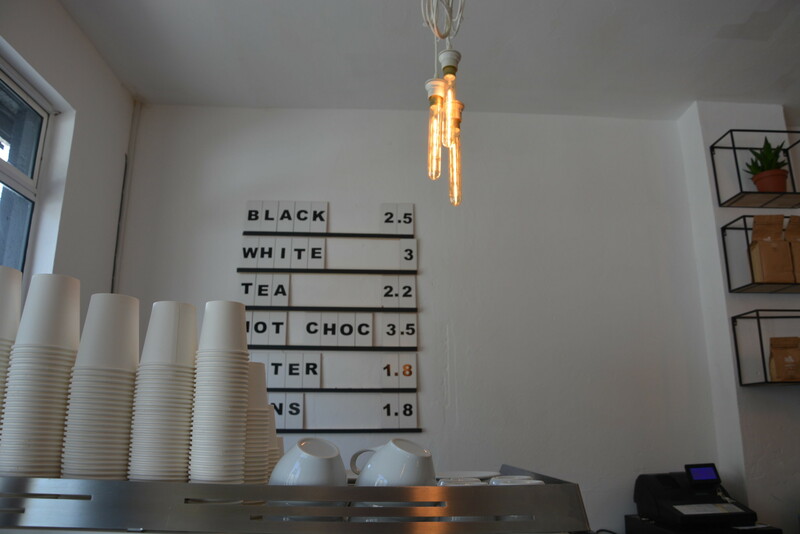 The coffee is powered by Cloud Picker, a micro roastery based on Sheriff Street, Dublin 1. The space, though petite, is very bright; it is a perfect spot for a morning pick-me-up or a lunch bite. Oxmantown Smithfield opens Mon-Fri, 8am-4pm. Planning your Saturday? Together with Dublin Decoded, Jay’s Cafe is running a local historical walking tour of the area. The event is part of the cafe’s opening celebrations. The tour includes free coffee/tea with a mini pastry. There are limited spaces of 40. The ticket costs €10. Drop them a message at jay@jays.ie to book your spot. Coffee Culture organises a meet-and-cup with barista Daniel Horbat this May 2nd. Daniel’s awards and titles include this year’s Irish Cup Taster’s Championships in Cork and the 3rd place in the UK Coffee Masters Competition. Participants will have a chance to try the nine coffees roasted by Caravan roasters for the UK Coffee Masters. Tickets (€20) are now on sale. For more details and to book a place, visit here. Did I miss anything? Drop me a message with your suggestions.